Photograph of plaque by Pete Schofield. Other photos, access to the A E Shepherd Centre and additional information with grateful thanks to Joyce Johnson of the Royston Local History Group. 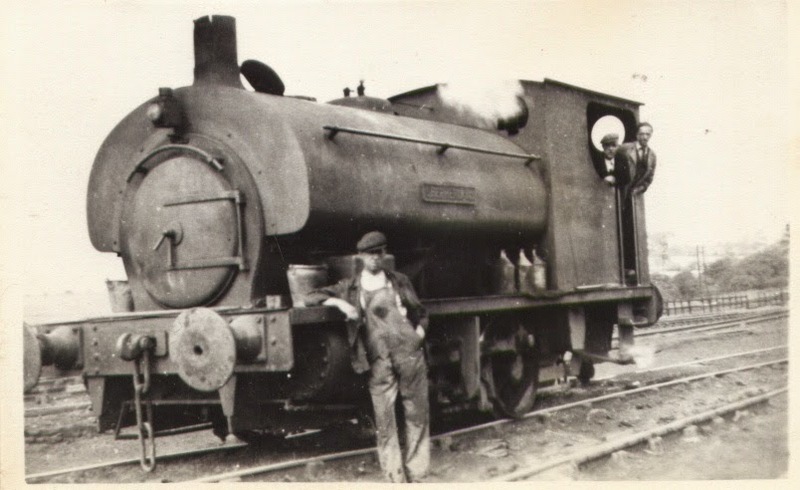 Locomotive built 1947 and scrapped at Royston by Roe Brothers & Co. Ltd of Sheffield in November 1972. 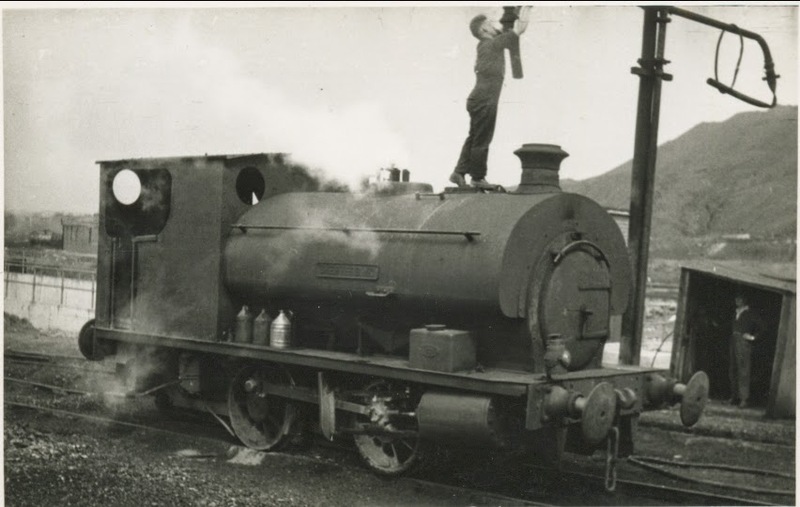 The Industrial Locomotive No.135, Vol.13, No. 6 (June 2010). "Pte (later Cpl) A E Shepherd was awarded his VC for action, and worked at the collieries before and after WW1." 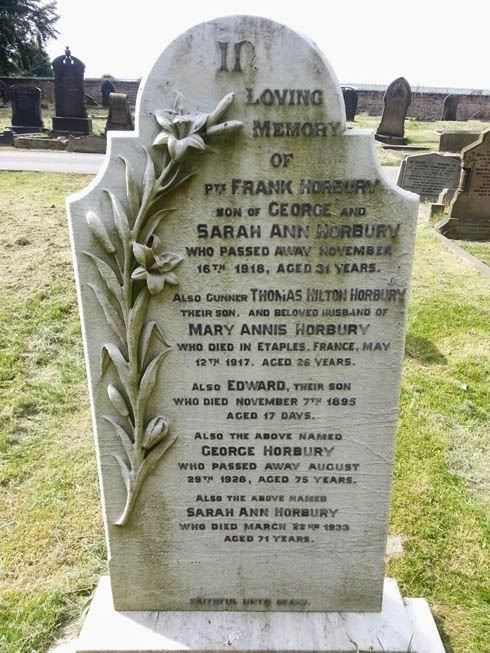 In / loving / memory / of / Pte FRANK HORBURY / son of GEORGE and / SARAH ANN HORBURY / who passed away November / 16th 1918, aged 31 years. / Also Gunner THOMAS HILTON HORBURY / their son. And beloved husband of / MARY ANNIS HORBURY / who died in Etaples. France, May / 12th 1917. Aged 26 years. 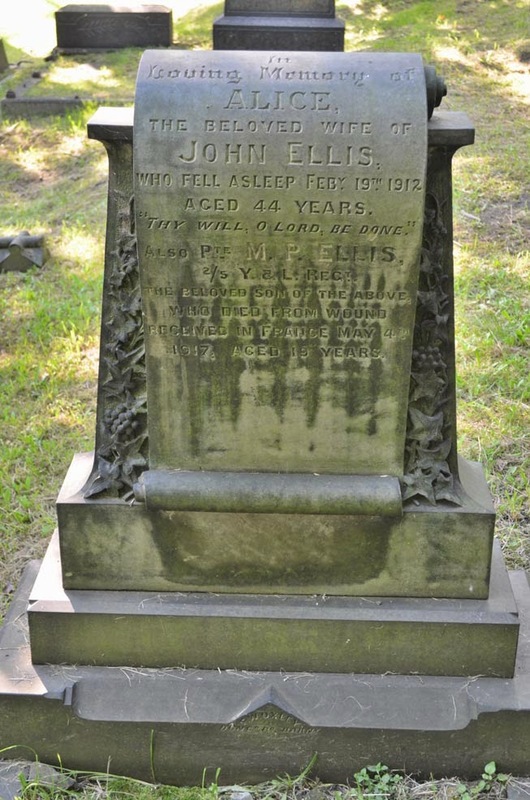 / Also EDWARD, their son / who died November 7th 1895 / aged 17 days. 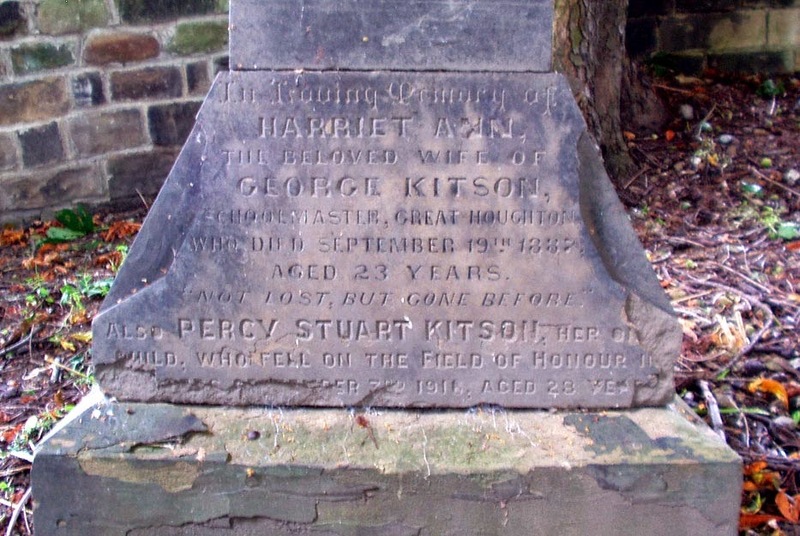 / Also the above named / GEORGE HORBURY / who passed away August / 29th 1928, aged 75 years. / Also the above named / SARAH ANN HORBURY / who died March 22nd 1933 / aged 71 years. / Faithful unto death. He is buried in Etaples Military Cemetery, France and commemorated on the Commonwealth War Graves Commission website. 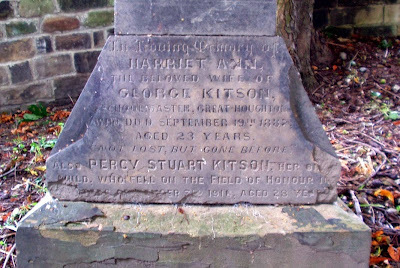 Note that his brother Frank is buried in this plot, there is no Commonwealth War Graves Commission stone, although he is remembered on their website. This would have been by family choice. 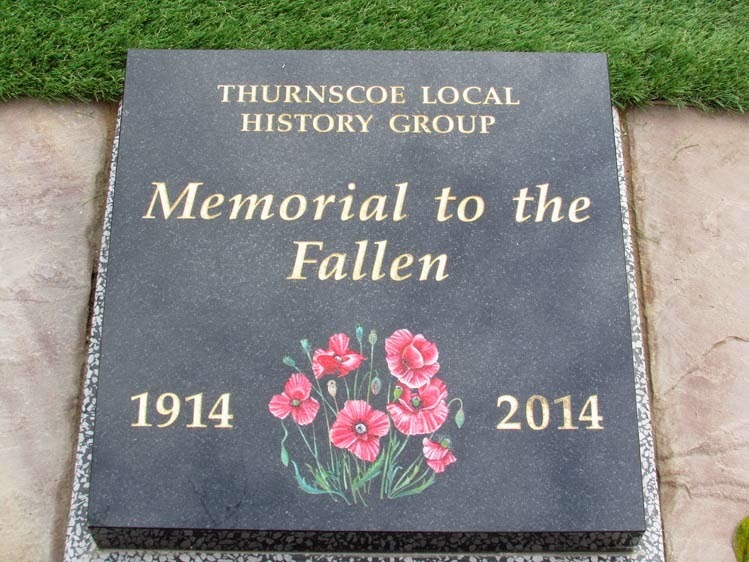 This plaque was proposed by members of the Thurnscoe Local History Group and stands in front of a plot of grass where crosses for the Fallen will be placed on Remembrance Day. 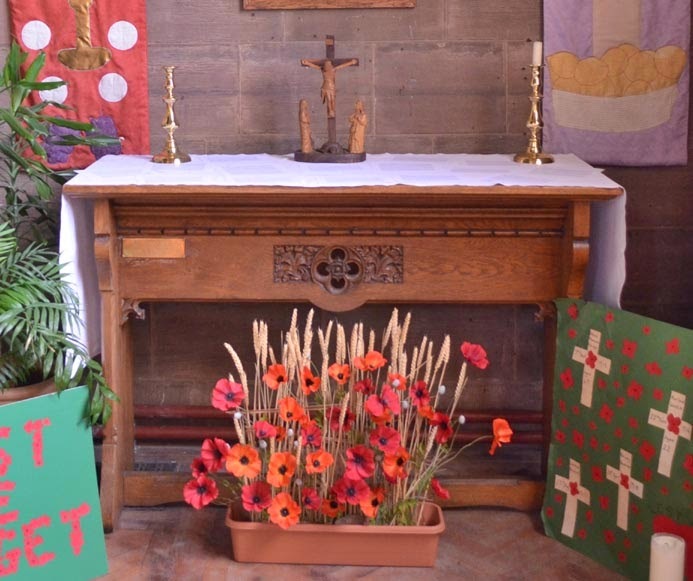 It is to pay tribute to all the Thurnscoe men and women who have made the ultimate sacrifice in wars and conflicts. It was funded by the Group in co-operation with the local undertaker.